This notice of privacy practices applies to Genesis Networks, Inc., worldwide. All orders on our site are encrypted using Secure Socket Layer (SSL) technology - one of the most prevalent and secure systems available online. SSL is an extremely complex form of cryptography that makes it virtually impossible for a third party to decrypt any personal information you provide. You can rest assured that your personal and credit card information is protected when transmitted online. You can find detailed information about SSL technology and how it works online using any of the search engines. In addition to the information you provide, Genesis Networks may also collect information during your visit to our website through commonly used information-gathering tools. These tools collect certain standard information that your browser sends to our website such as your browser type and language, access times, and the address of the website from which you arrived at the Genesis Networks website. They may also collect information about your Internet Protocol (IP) address, click stream behavior (i.e. the pages you view, the links you click, and other actions you take in connection with this websites) and product information. An IP address is a number that is automatically assigned to your computer whenever you are surfing the Web, allowing Web servers to locate and identify your computer. Computers use IP addresses to communicate on the Internet, allowing users to browse and shop. Genesis Networks, Inc. will not sell, trade, or disclose to third parties any customer identifiable information derived from the registration for or use of any Genesis Networks, Inc. online service, including customer names, email addresses, phone numbers and addresses except as required by subpoena, search warrant, or other legal process or requirement or in the case of imminent and/or as required to fulfill service obligations of this account.better understand your needs. 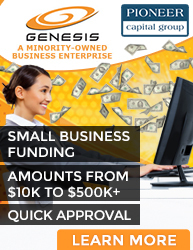 This allows Genesis Networks, Inc. to help you save time, money and determine which services may be of interest to you. .
Our conference call service operates with a dial-in application secured with entry by PIN. Our Open Access Service uses six- to nine-digit PINs, making PIN duplication highly unlikely. The added security of 'conference caller name announcement' means that if two organizations do call at the same time, with the same PIN, then you'll notice any unexpected arrivals. In addition, the 'Personal Room Call Locking' facility ensures that once all participants are engaged in a call, the room can be 'locked' to prevent any other parties entering or overhearing the discussion. Our Enhanced Access service offers a greater level of security - we allocate our PINs once only, and no two organizations can have the same one. This eliminates the possibility of PIN duplication, ensuring total security. We believe that your email address is private information and you have our assurance that we do not rent or sell your email address to anyone. When cookies are used on this site no personal information is store. Genesis Networks, Inc. does not knowingly, directly or passively; collect information from children under the age of 13. If we create offers and products that make it appropriate to collect information from children under the age of 13, we will notify you of the change in this Policy. We also will ask a parent to confirm his/her consent in advance of any collection, use or disclosure of that information. You should be aware, however, that web browsers and conferencing services set up for family use may be used by minors without the knowledge of Genesis Networks, Inc. If that happens, any information collected from the usage will appear to be the personal information of the actual adult subscriber and treated as such under this Policy. In addition, anyone under 18 years of age should seek their parent's or guardian's permission prior to using or disclosing any personal information on the site. Genesis Networks, Inc. will revise or update this Policy if our practices change, as we change existing or add new services, or as we develop better ways to inform you of products we think will be of interest. You should refer back to this page often for the latest information and the effective date of any changes.